I don’t quite know when or how it happened. That moment when fudge became my signature holiday sweet indulgence. When it became that one holiday treat that my friends and family would expect and that others would start to request. I don’t know when all this happened. I do know that during the month of December I make batches and batches and pounds and pounds of Fantasy Fudge! Today I made the first batch of the season. It was a special request from the members of my book club, The Booker’s Dozen, to share at our end of year Holiday party. So, I decided I would share the recipe with you all. Bring sugar, butter and evaporated milk to a full, rolling boil in a large saucepan over medium heat, stirring constantly. NOTE: The secret to my fudge’s creamy texture is that I use a wooden spoon and NEVER scrape the sides of the pan to prevent sugar crystals from forming. I recall this advise from a Food Science professor. Cook 4 minutes or until a candy thermometer reaches 234 degree Fahrenheit . NOTE: I ALWAYS use a candy thermometer. It is worth it to ensure that creamy texture. Add chocolate and marshmallow crème. Stir, stir, stir until melted and mixture is fully blended. Add nuts and vanilla, mix well. Pour into prepared pan and spread to cover bottom of pan. Cool completely. NOTE: I usually place the pan in the refrigerator to cool. When set, use foil edges to lift fudge from pan. Cut into 1 or 2 inch squares. NOTE: I often make fudge in advance. To store, wrap fudge squares in plastic wrap then in aluminum foil. Place in refrigerator or freezer. As a gift presentation, I make sure each piece of fudge is placed in an individual festive paper holder (I find these at a local candy store, The Chocolate Tree). 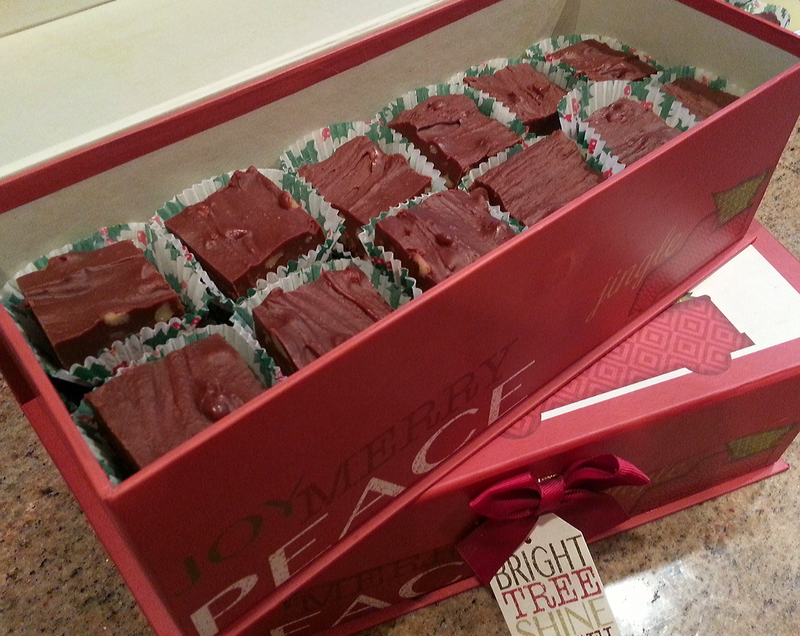 I then package the fudge in pretty holiday boxes or tins. 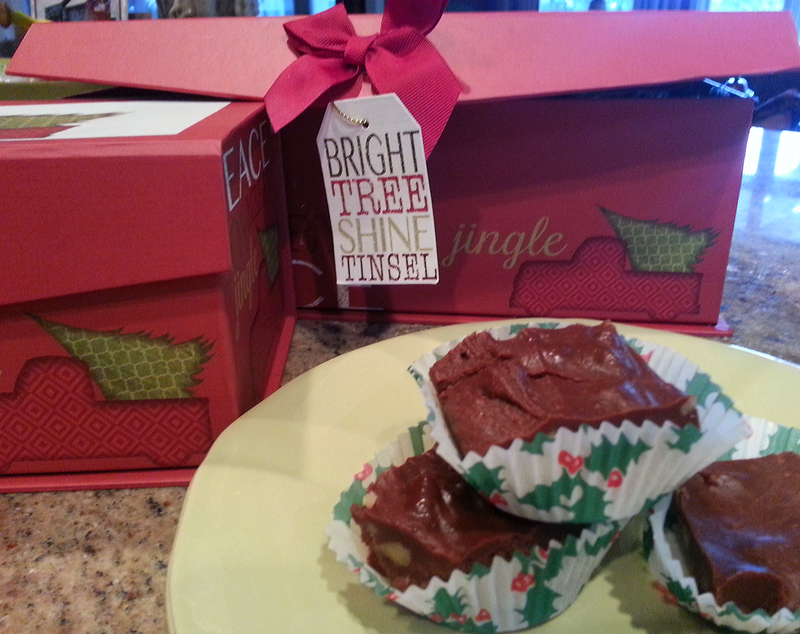 Fudge is a great gift idea. It is my one time a year, calories don’t count, you’ve got to have it, sweet indulgence. Try this recipe. It is easier than you might think. Your family and friends will think you are amazing! Beware – you may develop a loyal following that will come to expect Fantasy Fudge every year! Yummy! We have a holiday tradition of my Grandma’s Mocha Fudge. 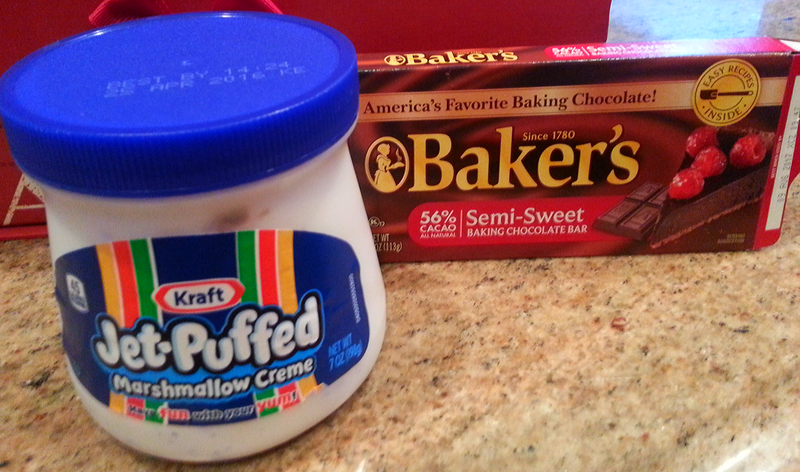 Tricia, I’ve been thinking about adding some interesting flavors to my fudge. What does your Grandma add to her fudge to make it “Mocha Fudge”? Sorry I completely missed this email notification. She added instant coffee granules and coffee liquor. No one in my immediate family likes coffee except with this recipe. Good stuff. I’ll email you the recipe if you want. I would appreciate having your Grandmother’s recipe. I love coffee!